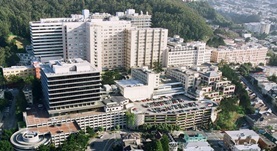 Dr. Charles Dollbaum graduated the medical school from the David Geffen School of Medicine and completed his residency program at the Cedars-Sinai Medical Center. A fellowship followed at the UCSF soon after that. Dr. Dollbaum is specialized in oncology and board certified in internal medicine and medical oncology. 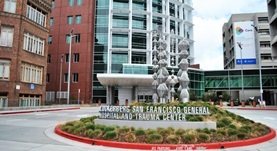 He has been in practice for more than 20 years and is affiliated with the San Francisco General Hospital. During his career, he has also published several writings of medical interest in collaboration with other doctors. Dr. Charles M. Dollbaum has contributed to 3 publications. Validation of salivary testosterone as a screening test for male hypogonadism. Morley, J.E., Perry, H.M., Patrick, P., Dollbaum, C.M., Kells, J.M. ; Aging Male. 2006 Sep.
Molecular lesions involved in the progression of a human breast cancer. Liu, E., Dollbaum, C., Scott, G., Rochlitz, C., Benz, C., Smith, H. S.; Oncogene. 1988 Sep.
Specificity of tumor necrosis factor toxicity for human mammary carcinomas relative to normal mammary epithelium and correlation with response to doxorubicin. Dollbaum, C., Creasey, A. A., Dairkee, S. H., Hiller, A. J., Rudolph, A. R., Lin, L., Vitt, C., Smith, H. S.; Proc Natl Acad Sci U S A. 1988 Jul.